David C. Rapoport joined the department in 1962 as a political theorist. He taught the first course on terrorism in the U.S. and developed a series of courses on politics in the Bible. 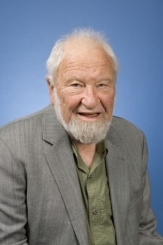 He retired in 1995 and was the Founding Director of the Center for the Study or Religion and Chair, Interdepartmental Major in Religion UCLA 1995-7. He continued teaching at UCLA till 2011 and received the Dickson Award for work as an emeritus 2007. He is founding and continuing editor of Terrorism and Political Violence.